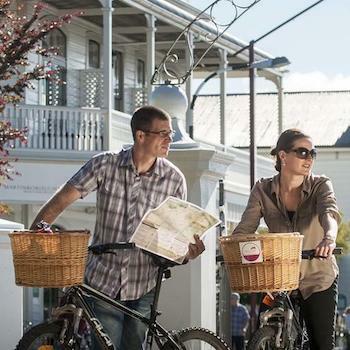 For something a little different but no less relaxing head to the wine village of Martinborough in south Wairarapa. Internationally renowned for its pinot noirs, the warm dry clime ticks all the boxes for a languid weekend away. 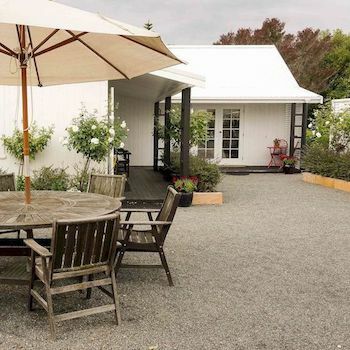 For true comfort, Aylstone, 06 306-9505, (aylstone.co.nz) in Martinborough offers six luxury rooms boasting superb views out over the vineyard and sweeping hills behind. Each comes with there own private deck and a host of luxuries. The fantastic breakfast ensures that no wine reaches an empty stomach and that the complimentary bicycles remain upright at all times, unlikely. A picnic basket full of delights can be arranged and enjoyed whilst touring the neighbouring wineries. There’s a wine library on site and in town you’ll find the Martinborough Wine Centre, 06 306 9040, providing the chance to hone in on your favourite favourites from the region and ask a few well-aimed questions. All just an hour away from the capital along the stunning Rimutaka Mountain road. Not in the mood to drive? Well, hop aboard a ferry to Picton for a true Robinson Crusoe style getaway. Three hours later, swap ferry for water-taxi and onward to your Marlborough Sounds retreat. With no roads and only one way out, there’s one word you’re bound to never hear here, traffic! Gracing the shores of Queen Charlotte Sound is Furneaux Lodge, 03 579 8259, (furneaux.co.nz) surrounded by 2000 acres of ancient forest and calm water beaches. It is the starting point for the Queen Charlotte Track, a 71 km tramp through the magnificent natural heritage of the sounds. 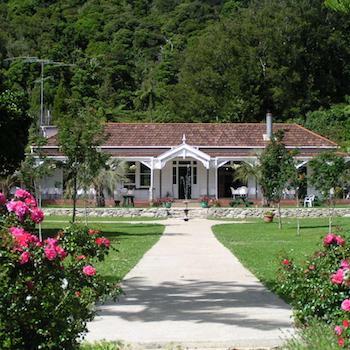 The Lodge offers an array of accommodation options from waterfront suites to self-contained chalets, to the curiously named ‘Possum’s Nest’ and the famous backpacker building ‘The Croft. It’s perfectly tailored to any budget and desired level of privacy. Chalets sleep between two and eight making it ideal for extended family getaways whilst the Possum’s Nest offers more privacy for the discerning tramper or backpacker with three units apiece with two bunks and two units offering queen beds. Couples might prefer the waterfront suits with lounge and private deck. Geared to cater for the activities Kiwi’s expect, there’s also the chance to explore the underwater realm of the sounds and the largest wreck in New Zealand, Mikhael Lermontov, resting at a depth of 20 m.
An award-winning restaurant serving up fresh, seasonal fare and locally sourced seafood and wild game spells a foodies delight, plus the story-laden walls of The Furneaux Bar make eating and drinking, day-long activities in themselves. Nestled within these sheltered bays and coves, you could fish away a day or visit simply savour the good life. The perfect getaway awaits you outside of the capital. Take advantage of the variety of destinations and treat yourself and your loved ones to the natural beauty that only Aotearoa can offer. This entry was posted in New Zealand and tagged Nelson and Marlborough, Things to do, Wellington. Bookmark the permalink.